Semantics play a significant role in shaping public perception about animals and animal welfare. The meat, dairy, and egg industries go to great lengths to remove harsh terminology and replace it with euphemisms that conceal the truth and sanitize violence. In today’s episode, I talk to someone who knows this all too well: Paul Shapiro, Vice President of Policy at The Humane Society of the United States. Join us as we discuss euphemisms and doublespeak used by animal agriculture and the best terms for plant-based and cultured meat. Supporters receive an additional conversation with Paul once the interview ended. 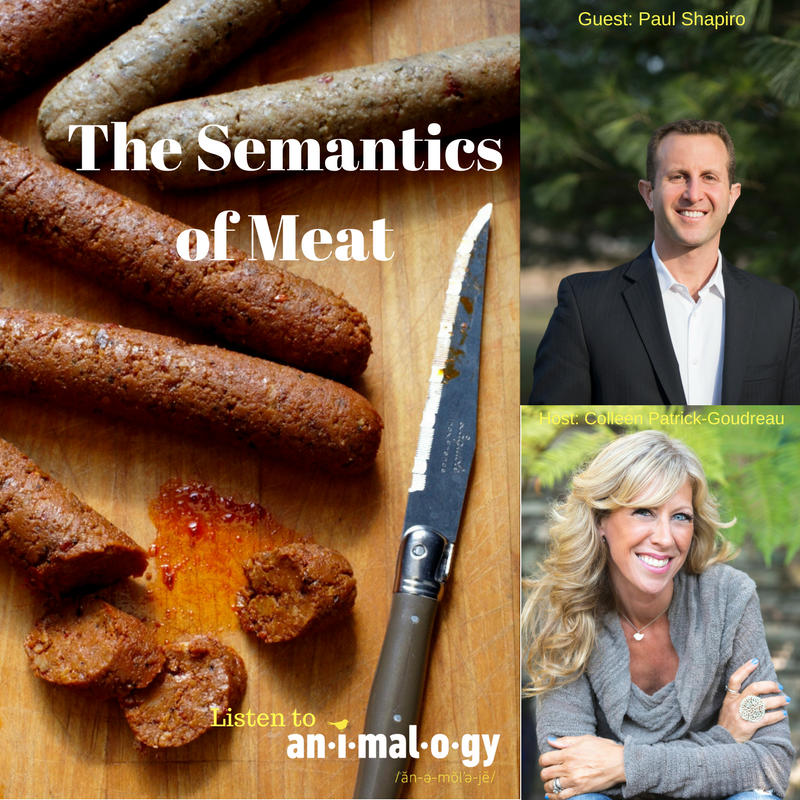 Colleen Patrick-Goudreau and Paul Shapiro talk about the semantics and euphemisms in the meat, dairy, and egg industries. What to call the new wave of lab-grown meat: “Cultured”? “Clean”? “Humane”?